The Best 4-GPU Deep Learning Rig only costs $7000 not $11,000. In a previous post, Build a Pro Deep Learning Workstation… for Half the Price, I shared every detail to buy parts and build a professional quality deep learning rig for nearly half the cost of pre-built rigs from companies like Lambda and Bizon. 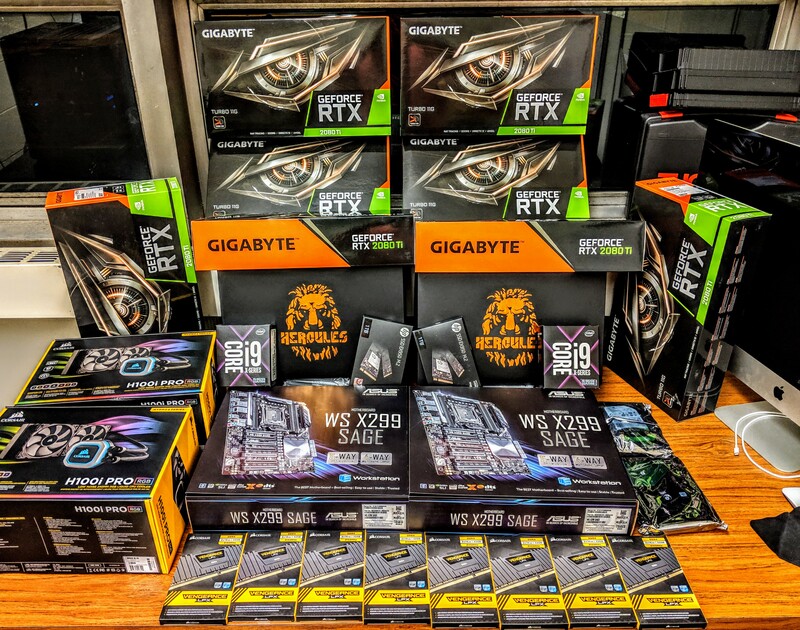 The post went viral on Reddit and in the weeks that followed Lambda reduced their 4-GPU workstation price around $1200. This is a good start toward making deep learning more accessible, but if you’d rather spend $7000 instead of $11,250+, here’s how. In the previous post I stated, “there is no perfect build,” but if there was a perfect build at the lowest cost, what would it be? That’s what I show here. Check out the previous post for component explanations, benchmarking, and additional optionsfor this 4-GPU deep learning rig. The goal of this post is to list exactly which parts to buy to build a state-of-the-art 4-GPU deep learning rig at the cheapest possible cost. Based on feedback that there were too many options in the previous post, I only list a best option for each component. I built three variations of multi-GPU rigs and the one I present here provides the best performance and reliability, without thermal throttling, for the cheapest cost. I’ve included my receipt, showing the purchase of all the parts to build two of these rigs for $14000 ($7000 each). I ordered everything online via NeweggBusiness, but any vendor (e.g. Amazon) works. If you have a local MicroCenter store nearby, they often have cheap CPU prices if you purchase in a physical store. Don’t pay tax if you don’t need to (e.g. non-profit or education institutions). Both NeweggBusiness and Amazon accept tax-exemption documents. View my receipt for two of these 4-GPU rigs. Left: The $7000 4-GPU rig | Right: The $6200 3-GPU rig from the 02/08/2019 post. This $7000 4-GPU rig is similar to Lambda’s $11,250 Lambda’s 4-GPU workstation. The only differences are (1) they use a 12-core CPU instead of a 10-core CPU and (2) they include a hot swap drive bay ($50). The operating system I’m using is Ubuntu Server 18.04 LTS. I’m using Cuda 10.1 with TensorFlow (installed using conda) and PyTorch (installed using conda). I’ve trained multiple of these machines with 100% GPU utilization on all four GPUs for over a month without any issues or thermal throttling. Disclaimer: Did you find a mistake? I probably made plenty. Help make this article better by commenting below! Subscribe to the L7 newsletter. Receive infrequent and minimal updates from L7 when new posts are released.